Brendon Hartley will make his return to the FIA World Endurance Championship, having been confirmed as part of SMP Racing’s lineup for the next two rounds. 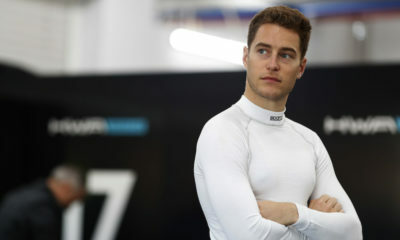 The two-time world champion is set to fill in for Jenson Button at the wheel of the Russian squad’s No. 11 BR Engineering BR1 AER for both the 1000 Miles of Sebring and Six Hours of Spa. Hartley will share driving duties with Mikhail Aleshin and Vitaly Petrov, marking his first WEC start since being crowned world champion in Bahrain in 2017 with Porsche. The 29-year-old Kiwi, who remains contracted to the German manufacturer, is coming off a one-year stint in Formula 1 with Toro Rosso and was recently confirmed as a Ferrari F1 sim driver. “I’m very pleased to join SMP Racing for the next two WEC races at Sebring and Spa,” Hartley said. Button, who took part in the last four races with SMP, is unavailable for Sebring and Spa due to his Super GT commitments, although is expected to return for the season-ending 24 Hours of Le Mans. SMP’s sister BR1 will be driven at Sebring by Egor Orudzhev, Stephane Sarrazin and Sergey Sirotkin, who has replaced Matevos Isaakyan in the lineup. Team principal Elton Julian has yet to return messages by Sportscar365.